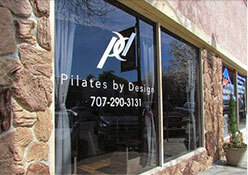 New to Equipment Pilates or just new to our studio? On this page you will find all the information you need to get started! Whether you’ve never done Pilates before, lots of time has passed since you’ve taken a class or are just looking to switch to our studio our process is the same: everyone is required to have an introductory session in either a class or private setting. With this intro we introduce you to our equipment as well as our fitness philosophy, as it may differ from other studios. It also allows us to get to know where your body lives and how it moves so we can keep you safe and make your experience with us a successful one! First, you will need to open an account with our scheduling system which you will find HERE. Click ‘Sign Up’ and then follow the on screen instructions to fill out all the information needed. Once you have done that you can select the type of introductory session to attend! We offer three different types of introductions: an Intro Class, and Intro Private and a Mini Private. Your needs will dictate which type of intro you will require. Below you will find prices as well as general criteria for all three. Once you have completed your introduction we will guide you to the classes that best fit your schedule and your ability!